If you’re new to Happily Ever Mom, you may not know that I’m obsessed with preschool science activities. It all started when I was evaluating my classroom and ranking our science area – and, we failed. Well, not exactly, but preschool science wasn’t my strength at the time, so we had our lowest scores in that area. I kept telling myself, “I did terrible in my science classes; what can I set up for them? !” What I didn’t realize is how much I could be learning right along with them. 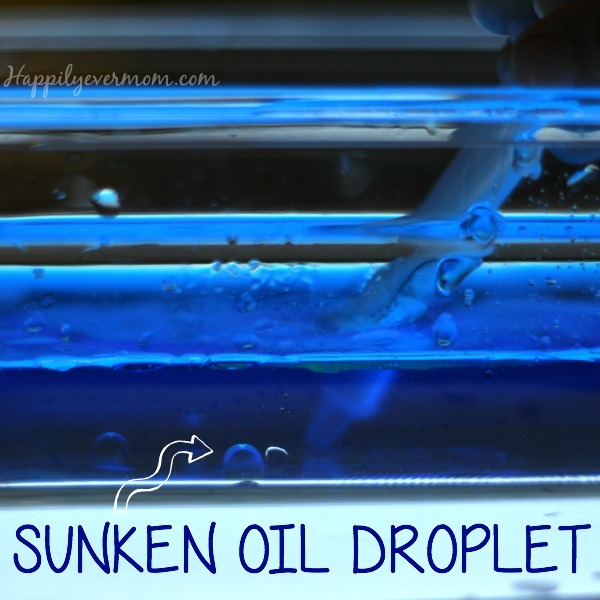 Which is why I love this science activity that is simple enough for anyone to set up and it’s a crowd pleaser! 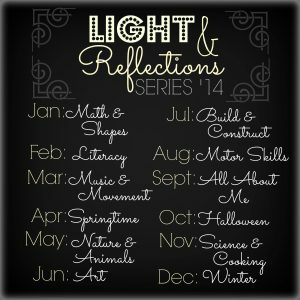 As part of the light and reflections series (a time when I team up with my favorite bloggers – be sure to check out their activities at the end! ), we decided to explore the theme of cooking and science. This activity really constitutes as cooking and science (kind of), but we set this up as an experiment. Add drops of essential oils for even more fun! Start by putting water into a clear, shallow dish. Pour a small amount of oil into another container. 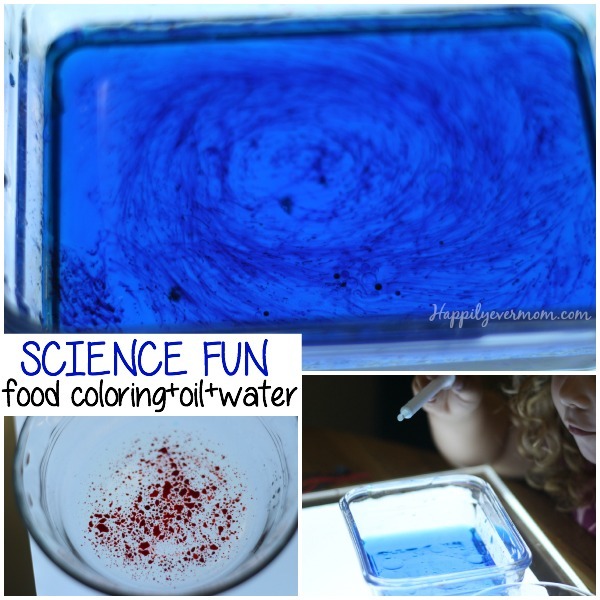 We added food coloring to both the water and oil (blue to the water and red to the oil). Then, we mixed the contents in each container – you’ll notice the oil and the food coloring don’t mix because food coloring is water based, but that’s okay, it’s how you get the streaking you see in the picture above as the food coloring mixes with the water. Let your child get the oil into the syringe and add the oil to the water. It’s so fun to watch how the oil won’t mix with the water, but instead makes bubbles and clumps of oil. Let them explore. My daughter loved mixing and adding and watching the streaks of food coloring that looked like snakes (see picture below – although it doesn’t do it justice). Bonus: we found oil droplets that “sunk” (more technically attracted to the glass container and didn’t move until agitated). My daughter just wanted to “pop” each droplet that she noticed. While they don’t pop, they do float back up to the surface. What was our Goal with this Preschool Science Activity? 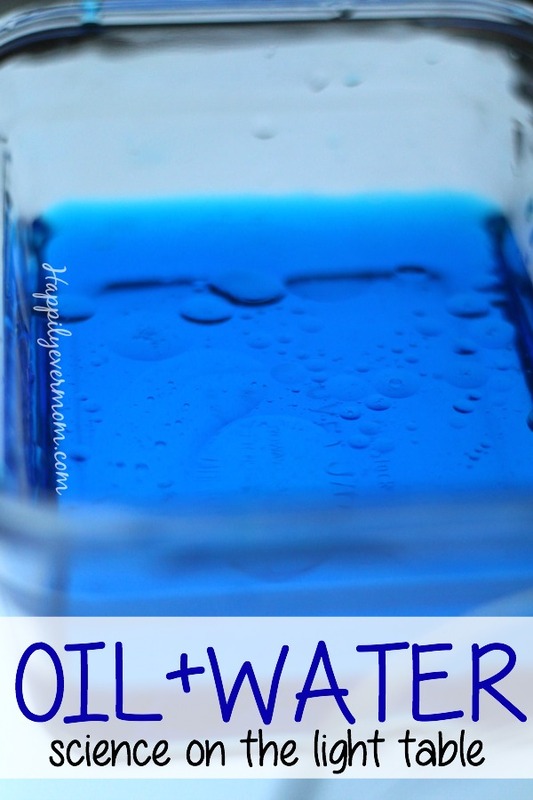 Exploring Density – Liquids have different densities (water is more dense than oil which is why the oil droplets appear to float on the surface of the water). Have fun! Experimenting is enough. Revisit this experiment months later and you can go more in depth if your child isn’t interested in talking about what they see! 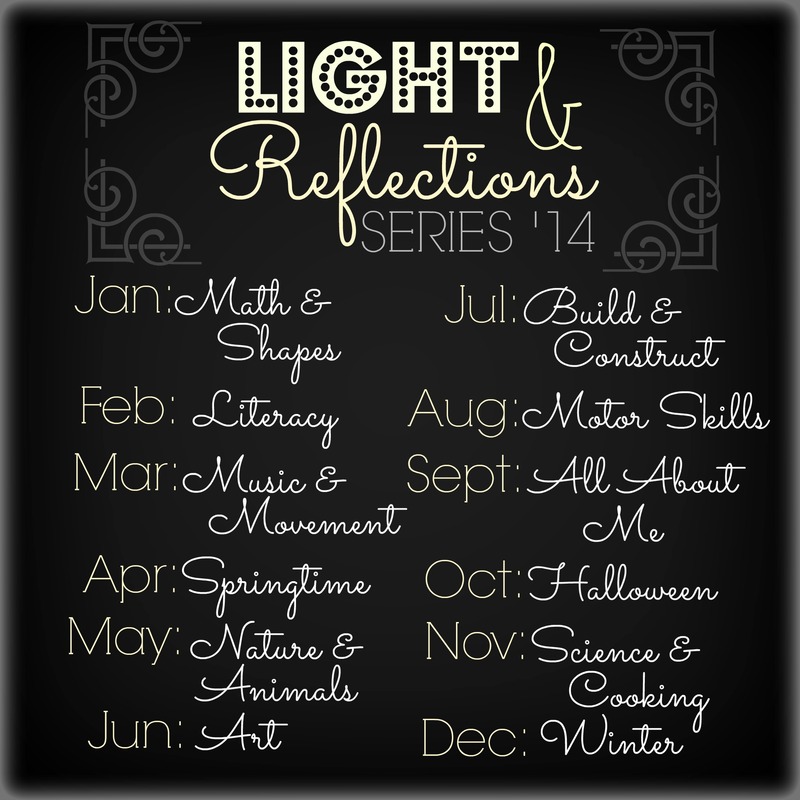 Don’t forget to check out the other great activities in the Light and Reflections Series! Very cool! We have to do this! Gorgeous! We have to try this!